Barlow Vineyards is located on the western side of the northern part of the Silverado Trail – look for the red sign next to the road and the “Barlow” name built into their gate. 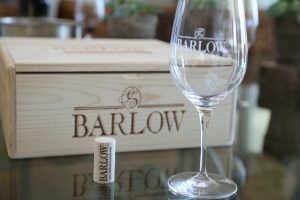 Barlow Vineyards was founded in 1994 by two generations of family – Warren Barlow Smith (using his middle name as the namesake for the winery) and his wife Jeanne Smith along with their son Warren Smith and his wife Ann. All were from Orange County. 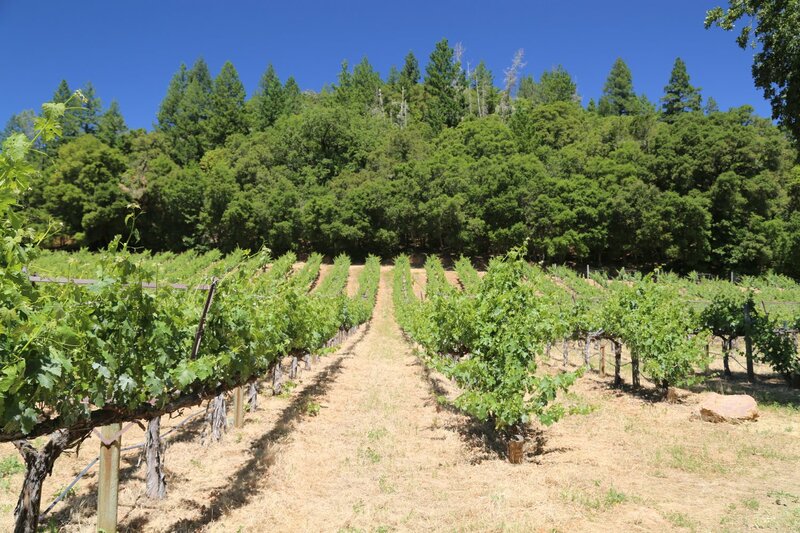 Warren & Jeanne used to vacation in the Napa Valley for decades (starting in the 1950’s) – they began looking for ‘wine country’ property as early as the 1970’s but it wasn’t until 1994 that they located the piece of property they ultimately purchased. While both couples were visiting the Napa Valley – Barr and Ann’s young son Zachary became hungry while they were driving through Calistoga. They pulled over at the long time restaurant Cafe Sarafornia. While there a real estate agent overheard their interest in purchasing land and approached them about a nearby property for sale. Both family’s and the agent drove to the site, fell in love with the property and decided to buy it that day. In the early years they exclusively sold fruit from the grapes that were already planted on the property. 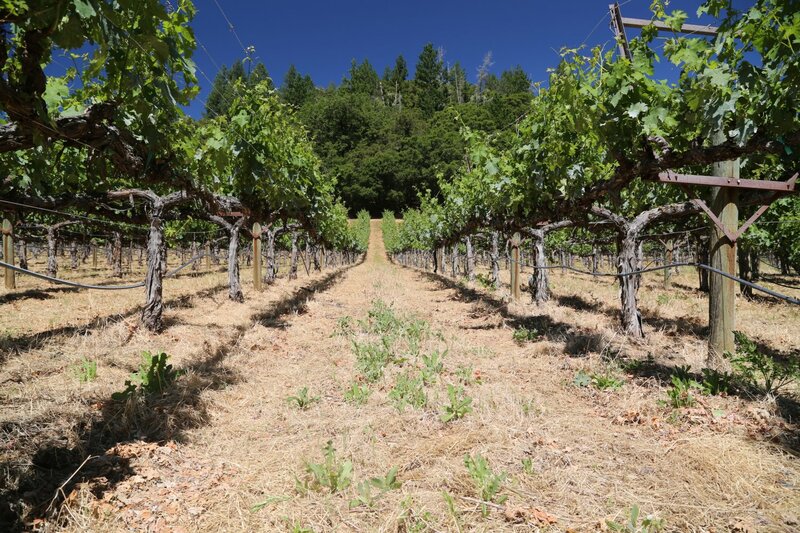 They have since planted additional acreage and grow a number of varietals including Cabernet Sauvignon, Merlot, Cabernet Franc, Petite Verdot and Zinfandel. 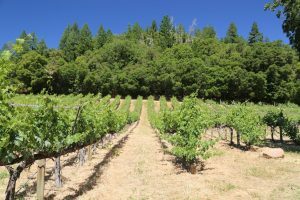 They continue to sell the majority of the grapes they produce (upwards of 85%) to select Napa based wineries. 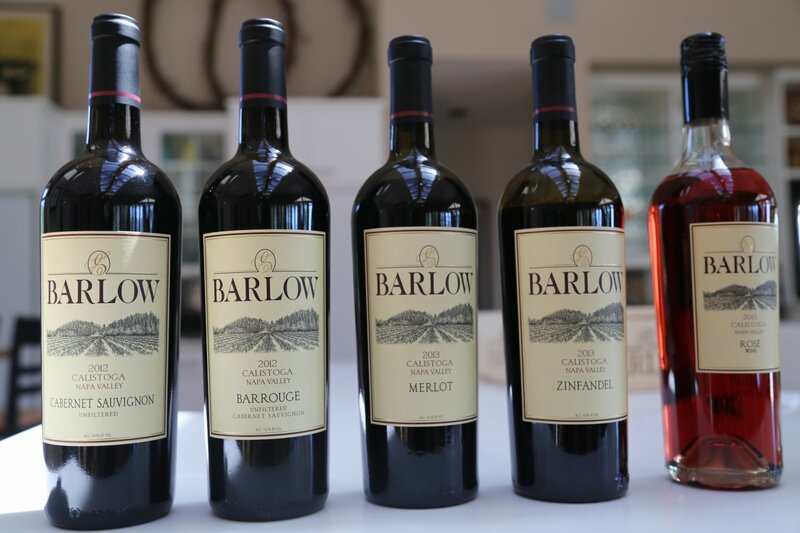 The family started making home wine in the mid 1990’s – their ‘micro’ winemaker at the time, Art Finkelstein (founder of Judd’s Hill Winery) encouraged them to start making wine commercially. Today accomplished winemaker Corey Beck oversees their production. Their first release in 1997 was merely 25 cases; this sold out rather quickly. 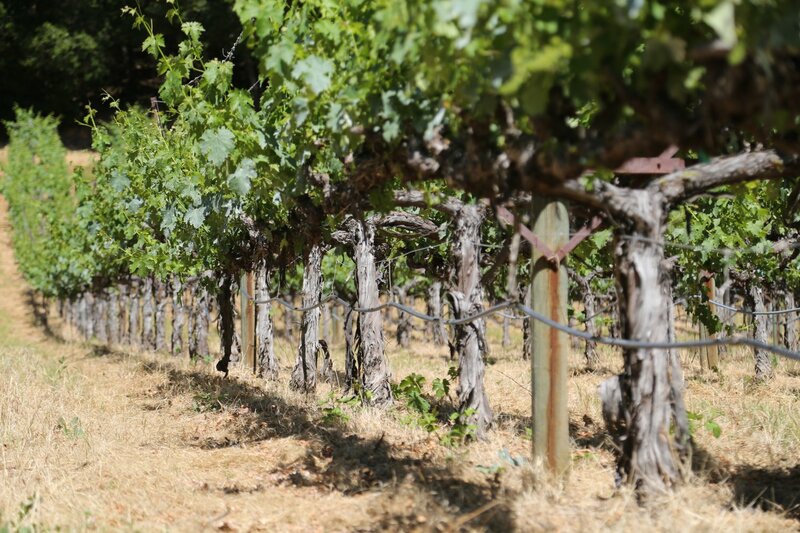 Today they produce around 1,500 cases annually – all estate fruit except for their Sauvignon Blanc. Both Warren and Jeanne have passed on but their family continues to operate the vineyards and produce wine. Barr eventually moved to the valley – he and Ann oversee all their winery operations – and their daughter Alyssa is often involved – especially during harvest. 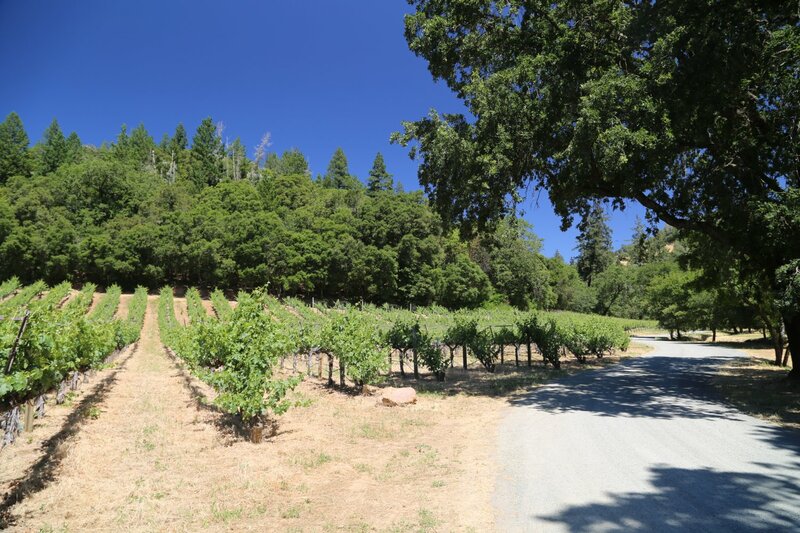 The property is located in a quiet part of the valley – their vineyards wrap around a knoll. Alyssa recalls when they moved here they were living in an old trailer until they were able to renovate an ancient farm house. She grew up on the property and still lives in the Napa Valley. 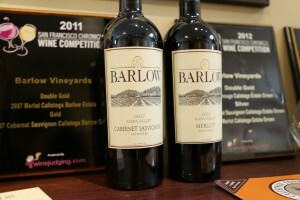 We have tried several of their Cabernet Sauvignon’s over the years. The 2012 Cabernet Sauvignon shows layered aromatics – dust, sweetness of spice, dark chocolate, mocha and even is a bit floral at times. Persistent coarse tannins anchor a long finish. Their Merlot’s tend to be big wines – and are often appreciated by big Cab drinkers. The 2007 Merlot features a fairly complex nose. 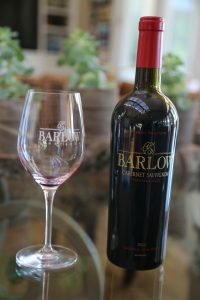 It shows darker fruit notes on the bouquet including black cherry and touches of mocha are revealed as this wine opens. The entry is approachable and the mouth feel is somewhat silky in nature but quickly gains in complexity across the palate. The tannins are broadly distributed towards the finish and notes of plum delicately linger for some time. 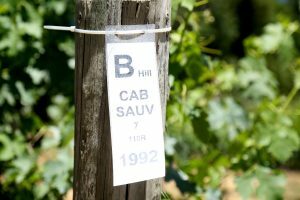 They also produce a Sauvignon blanc, Zinfandel and a rosé of Cabernet Sauvigon and Merlot (they leave this on the skins for 24 hours so it becomes darker then a typical rosé). The Barrouge is a more recent addition to their wine collection. This fine Bordeaux styled blend is always dominated by Cabernet Sauvignon. The 2012 vintage was blended with Merlot, Petit Verdot and Cabernet Franc. 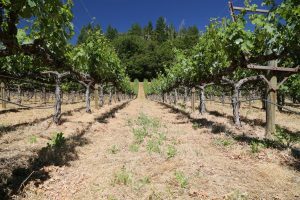 They use a specific block of Cabernet Sauvignon every year in this wine – from vines that tend to produce approachable wines – especially in their youth. This vintage shows aromas of blackberry with kisses of vanilla – it is very approachable on the palate, rounded, balanced with good acidity. Very nice food wine but also drinks nicely by itself. Well integrated somewhat supple tannins anchor the smooth finish. Less then 400 cases produced. The 2012 Family Selection is their first vintage of this very limited production premium wine. It is a barrel selection of what they feel are the finest barrels of Cabernet Sauvignon from their property each year. Only three barrels of this vintage were produced. The wine is 100% varietal. Immediately shows an appealing bouquet with a sweetness of fruit, layered with notes of chocolate and mocha – it is somewhat briary with aromas of blackberry. This wine is a good example that big structure and big flavor and can still be balanced. Muscular wood and grape tannins anchor a very long finish. Good acidity also. This wine is very ageworthy. It is available as a single or as a three pack in a customized wooden box. Visits are always highly personalized and conducted with a family member – usually with Barr but sometimes with Alyssa. 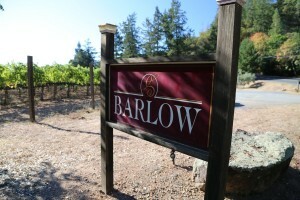 For several years Barlow was a part of a shared tasting room called Up Valley Vintners in downtown Calistoga. Unfortunately this tasting room closed down in late 2016. Plans call for seeing visitors at a local winery where their production is housed (a winery that also offers a variety of hospitality space and wine caves). Ann, I have been trying to reach your mom.. Is she alright? My phone is 209 527-5506. My email is ruth-johnson@comcast.net. Could you please contact me and let me know how your folks are. Thank you. I’m impress with winery. Also congratulations on being a grandmother.